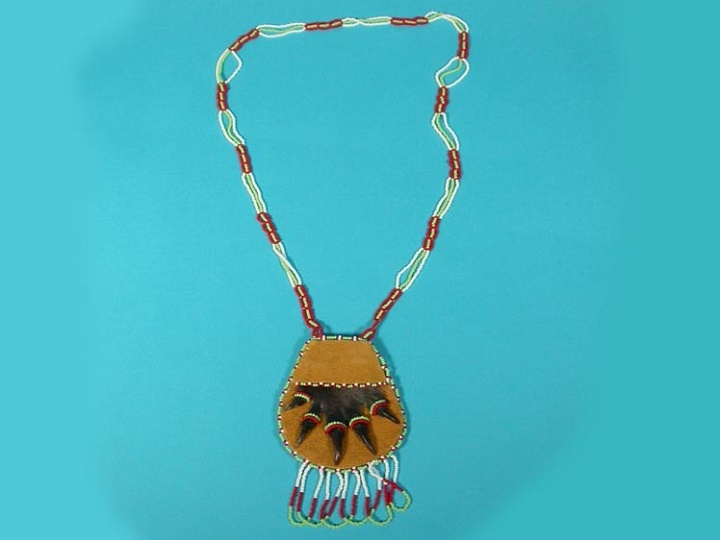 A real beaver paw is mounted on deerskin suede and trimmed with seedbeads. This is a great item for boys. The necklace, including the leather pendant, measures 44" long. Genus & species of Beaver: Castor canadensis. Wild. Genus & species of Deer: Odocoileus virginianus. Wild. Beaver are not an endangered species. The beavers are not killed just for their paws. A USFWS export permit is required for all shipments outside the USA.